A few weeks ago the App Timehop showed me a year old post where I used shrink plastic ;) I really felt like trying that out again - so much fun! So I made a few feathers to use as embellishments on future projects. One of them I used on this card below. 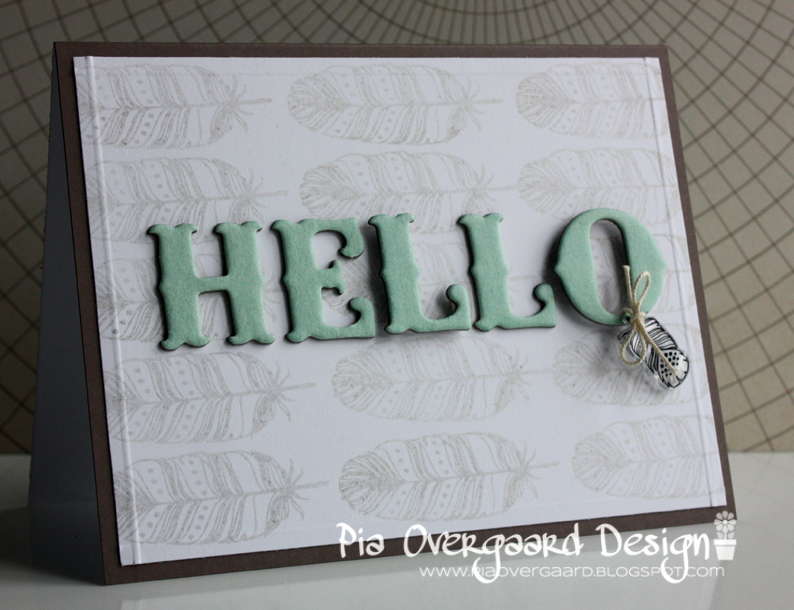 I stamped the background also using one of the feather stamps (again from WPlus9) - I used Hero Arts shadow ink (wet cement) and for the focal point of the card, I used some older My Mind's Eye chipboard letters in one of my favorite colors! Here is a close up of the shrinked stamped feather :) A few of the chipboards letters were raised for some added interest, using foam adhesive. For the card base, I used Hero Arts Wet Cement layering paper. beautiful! 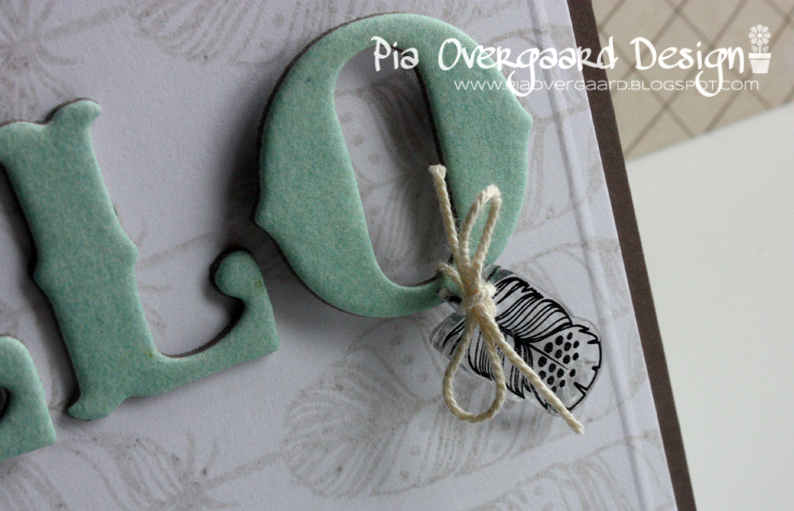 the popped 'o' with that sweet feather is lovely! Hvor er det et flot kort og ret lækkert fjerstempel.